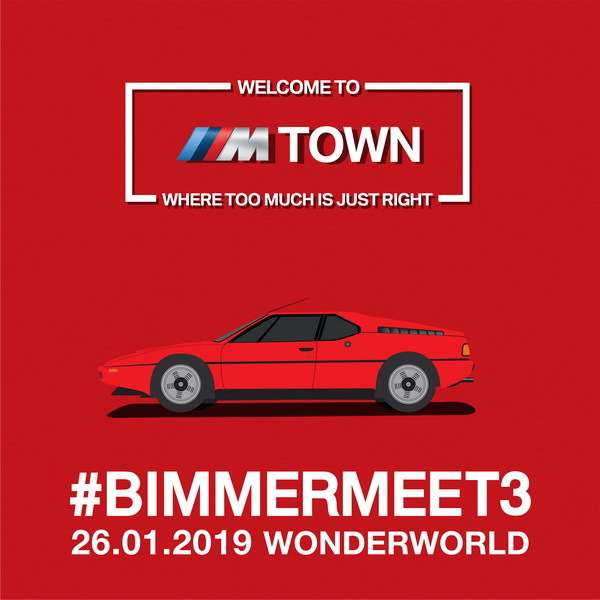 BMWCar Magazine Thailand จัดงาน #BIMMERMEET3 รวมพลคนรัก BMW ครั้งยิ่งใหญ่ในประวัติศาสตร์ ปีที่ 3 | RacingWeb.NET | The Racing Cars Community on Web. 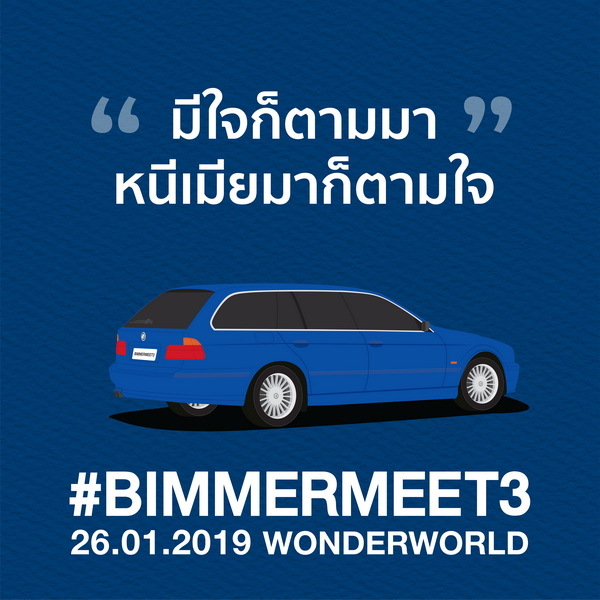 ร่วมเป็นส่วนหนึ่งของการรวมตัวคนรัก BMW ในประเทศไทยอีกครั้งได้ที่งาน #BIMMERMEET3 ในวันเสาร์ที่ 26 มกราคม พ.ศ.2562 ณ สวนสนุกวันเดอร์เวิลด์ รามอินทรา เวลา 16.00 น. 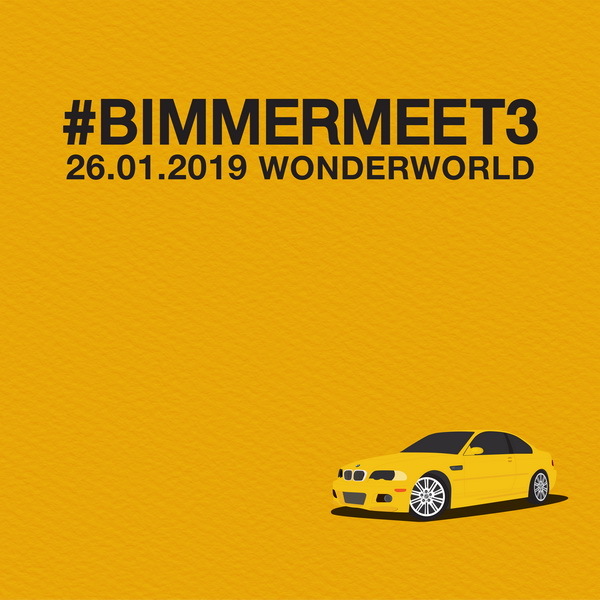 - 20.00 น.
Thailand's biggest annual event for BMW fans "#BIMMERMEET3", Taking place for the third year at Wonder World Fun Park Ramintra, organised by 2000 Publishing and Media Co., Ltd., the BMWCar Magazine Thai Edition publisher, is being held on Saturday 26th January 2019 from 16.00-21.00. 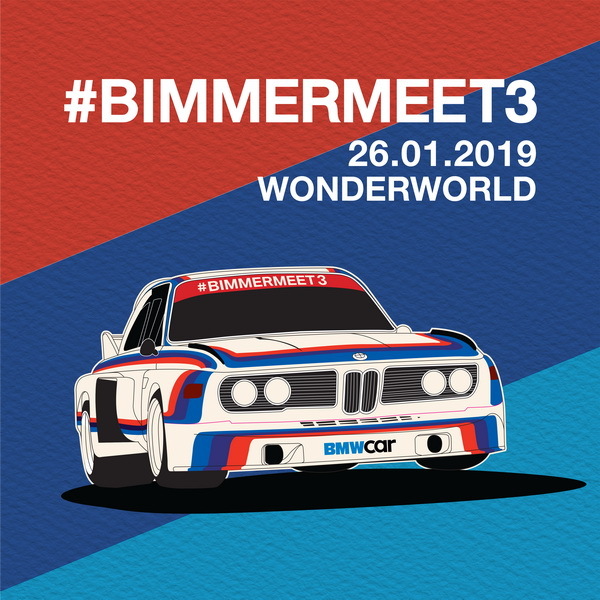 The event aims to bring all BMW enthusiasts and owners or 'bimmers' from around the country that being a greatest in the history to enjoy many fun activities together including a showcase of more than 400 BMW cars, and to shared insights and tips about BMW by columnists from BMWCar Magazine. Highlight in this event consists of various of exhibition zones. The BMW M Town, where too much is just right zone, luxury sports car under the symbol M to perform. If you are the one who fell in love with unlimited strength, no matter who you are you can find the M family in this event. Including BMW CLASSIC zone to bring older vehicles to rare coming together along with the BMW Classic Part Ordering Program by BMW Thailand to provide advice and facilitate the purchase of all classic car parts not to be complicated anymore. #BMWstories Zone showcasing the cars from the Bimmer story who have the passion, commitment and impression between the car and the car owner. There are also X-Series zone to bring the SUV series that comes with XDrive technology. The Ultimate JOY Experience zone that will open every aspect of every lifestyle for members. It's easy to apply and no charge if you are only BMW owner. Z-Series Zone, which brings coolest z family car to be featured in this event. Flea Market zone to shopping BMW genuine accessory. 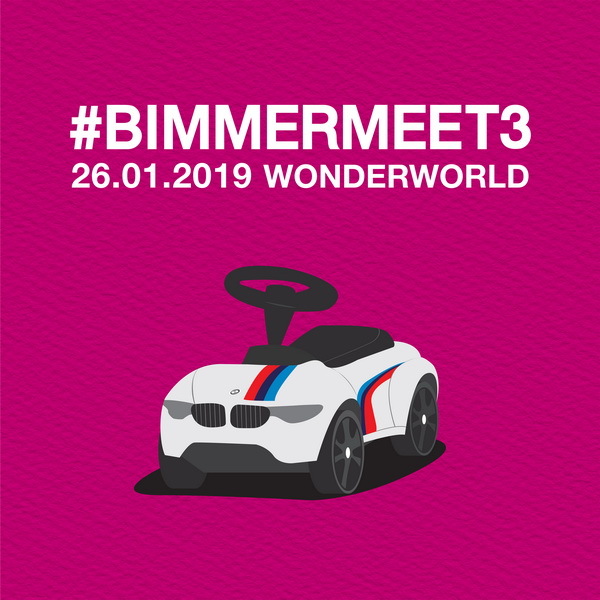 As well as pampering those little bimbers with the KIDS ZONE, a racetrack for BMW cars, mini cars, to give the tiny bimbers the fun. 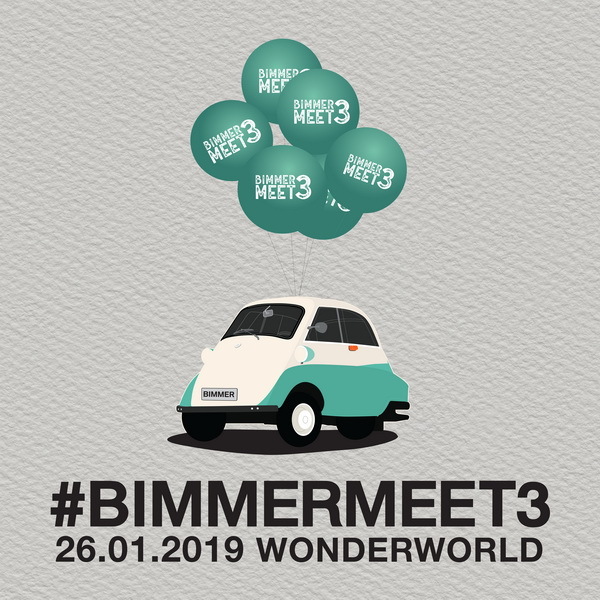 Special highlight with parade of more than 20 BMW cars narrating the creation of BMW vehicles from the beginning range three-wheeled BMW ‘Isetta’ including rare models like 503, E28, M5, E31, 8 Series, E46 CSL, E9 to the electric innovative BMW i8. Inside, there are many activities that would increase the joyful to bimmers. Whether it be a fun games zone-battling skills. Food and drinks zone from renowned restaurant under casual concept "Temple Fair" End with mini concert from "Singto Numchok" to create a lively night atmosphere among more than 400 BMW cars from across the country. 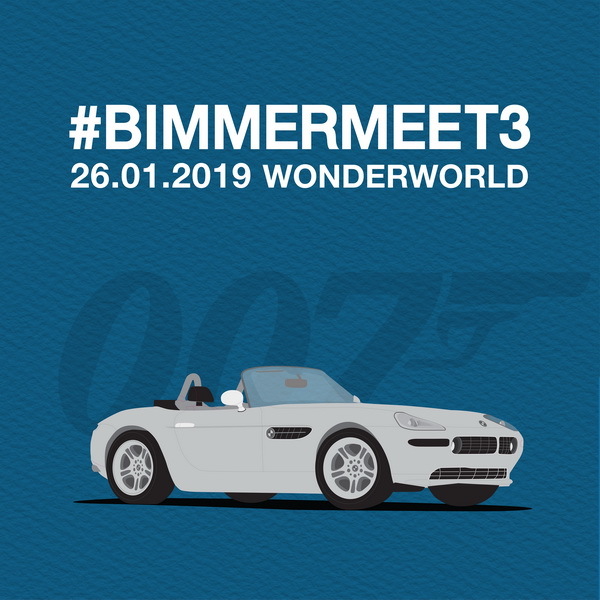 Be a part of BMW lovers gathered in Thailand at "#BIMMERMEET3" on Saturday 26th January 2019 at Wonder World , Ramintra from 16.00-21.00.